Well, I will admit that even we are drawn to this peculiar sport which just oozes summer, glamorous little chic outfits and a perfect excuse to, as previously mentioned, spend this potentially prolonged time away from the daily stress and grab a cocktail (Strictly for cooling-down purposes, of course) or a Pimm's, which is universally acknowledged as the beverage of choice. Sit back and leave the hard work of running around, serve, slam and grunt (I’m not quite sure if I just referred to Tennis as a sport or the everyday life of the waitress down my local coffee shop) to someone else. It is something truly oh-so-relaxing to get a chance to watch others work up a sweat by choice and strongly enjoy it, I might add. Then again, what a waste would all this be if doesn’t allow you to dress accordingly, when the opportunity is provided and practically throws itself at you. So grab at I and sport – geddit? – the latest additions in your seasonal wardrobe. Here are some of my favourites to brave this summer and you will be an absolute Smash Hit on- and off- the court. Have your say - be the first to comment! Lovely Louboutin. Lovely Lauren (6 photos) I dare anyone to step forward and claim they don't know the IT-Girl and gorgeous Icon of today that is @ LAUREN CONRAD! She's the extremely talented yet humble with such extraordinary natural style and charm to inspire the millions of girls out there who's followed her from starring in two hit-reality series .. Say it with me, ladies; From Laguna Beach to The Hills, where her Style has been put in real-time action from her famous side braid (Everyone still following? yes? Brilliant! LET'S GO!!) 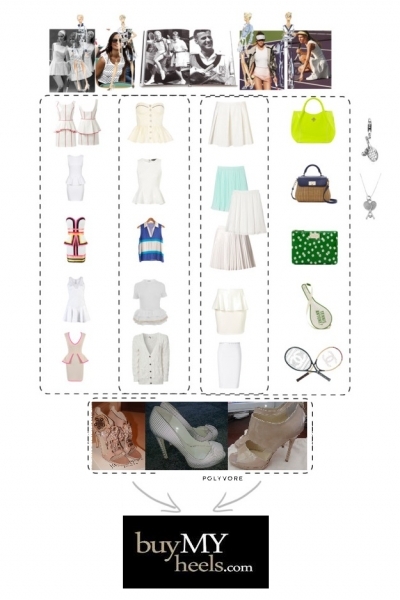 to her Best Selling novels following the LA Candy-series, the list goes on with the chicest of outfits presented in her clothing lines, starting off with LC by Lauren Conrad to Paper Crown! I for one, cannot wait to see what she's up to next, running her Beauty and Style tips on her website @laurenconrad(dot)com! As a true inspiration she knows where to put her foot down, or rather how and in what to do so; namely the beautiful artworks of soles that are Christian Louboutin's! Taking the world by storm in these absolute Beauties of Skyscrapers just adds to the powerful woman she's become - that we've watched her grow into! Manolo Blahnik, for us shoe worshippers, is known as the crème de la crème of designers. Yes we love Jimmy Choo and Kurt Geiger is a girls’ best friend! But Manolo is in a whole class of his own. He has been gracing us with his breathtaking designs for over 30 years now, he has an overwhelming amount of adoring devotees and now fashion writer Camilla Morton has recreated a fairy tale that would have Carrie Bradshaw quaking in her stilettos! 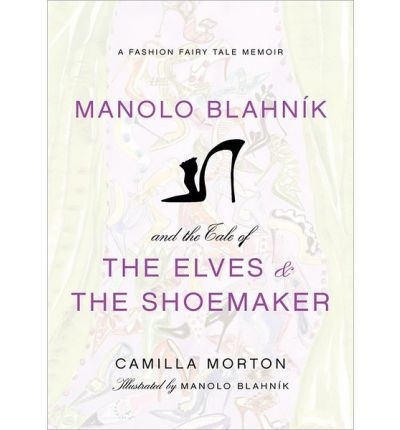 Camilla has published fashion fairytale books for the likes of Christian Lacroix and Prada, and has now recreated the magical story of The Elves & the Shoemaker for Mr. Blahnik. This absolutely beautiful memoir is an art form in itself. The book takes the form of an old fairytale, starting typically with the classic beginning ‘Once upon a time.’ It has breathtaking illustrations and sketches from Manolo, with gorgeous calligraphic fonts gracing the pages and with a sense of sparkle runs front to back, this book will definitely not disappoint. So long are the days of monotonous biographies! This exquisite piece of writing appeals to little girl in all of us, taking us through a magical story of Manolo Blahnik’s life so far. Great praise goes to Camilla Morton for this stunning memoir and I urge you to invest in the timeless classic. What tale and designer will she choose next? I, for one, can’t wait to find out!